Montana has long experienced wildfire and smoke. But this season was notable for the number of large, intense fires near populated areas and the unrelenting length of the season. The long-term human health effects of breathing wildfire smoke daily are largely unknown. But it is clear from this year that the state is not prepared to respond to wildfire smoke as an annual public health threat. A contract firefighter stands outside his truck in downtown Seeley Lake, Montana, in August. Scientists are studying the effects hazardous smoke had on residents in and around Seeley Lake due to nearby wildfires such as the Lolo Peak and Rice Ridge fires. Historically, Montana’s fire season has stretched from July to September. Fires are mostly managed through suppression, primarily by the U.S. Forest Service and the state. Big fires aren’t unusual; both 2007 and 2012 were notable for their wildfire seasons, when 778,000 acres and 1.2 million acres burned, respectively. This year saw 1.3 million acres burning into October, fires that cost up to $1.5 million dollars a day to fight. The fires burned close to places like Hamilton, Seeley Lake and Frenchtown, filling them with smoke. By the end of the season in mid-September, 53 of Montana’s 56 counties had been declared disaster areas. Some days, the air monitors were unable to accurately read the air quality because it was beyond their measuring capacity. “It’s unprecedented, is my understanding,” says Paul Smith, one of just two pediatric lung specialists in Montana. Smith sees children with asthma and lung diseases whose conditions are further complicated by the formaldehyde, benzene and carbon monoxide in wildfire smoke. Lungs are akin to a “raw open wound,” easily harmed by smoke exposure, Smith says. Long after the smoke is gone, inflammation and scarring remain. Across Montana, emergency rooms saw an increase of respiratory-related problems this wildfire season compared to last year, which was calm. In Missoula and Powell counties, for example, ER visits more than doubled. Anecdotal evidence aside, our understanding of the long-term health impacts of smoke is thin. A study led by researchers at the Georgia Institute of Technology this summer found that the Environmental Protection Agency has significantly underestimated the amount of noxious emissions wildfires create. It found that hazardous particulates released into the air by wildfires are three times higher than previously thought. The only way to truly protect people from smoke is to avoid it entirely. But for Montanans, as smoke infiltrates their daily lives, that’s not always feasible. 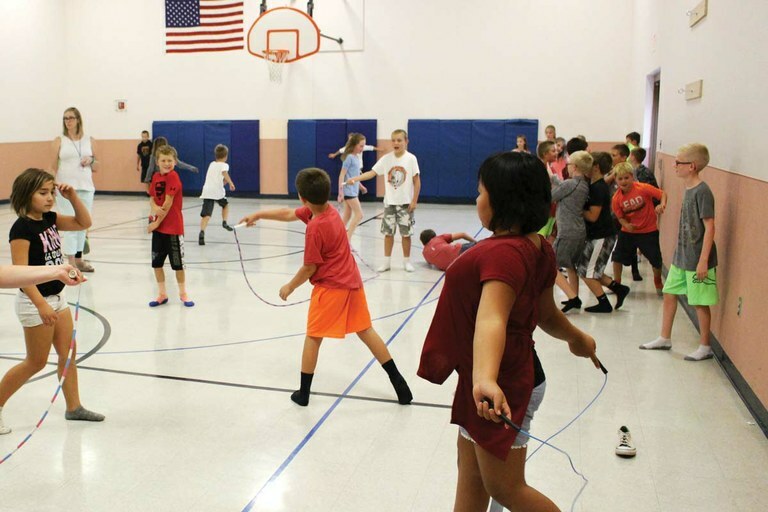 Students at Frenchtown Elementary in Montana stayed inside for recess for almost a week because poor air quality due to wildfire smoke prevented them from safely playing outside. Two weeks into the school year, the Lolo School District got its first high-efficiency particulate air, or HEPA, purifiers, the only mechanisms capable of filtering out fine particulates from wildfire smoke. But there weren’t enough HEPA purifiers for every classroom. That left district officials with the task of choosing which children would get clean air. After consulting the county health department, the district decided to put the purifiers in classes with the youngest students. “Those tiny little lungs are working even harder to get the oxygen they need,” Olinger says. “It was the logical group to start with.” The school worked its way up through grade levels as more purifiers became available, but the triage system wasn’t enough to help all the classes and communal spaces. At night, teachers set the purifiers to their highest setting, and continued running them on low throughout the school day. The purifiers came from a program put together by Climate Smart Missoula, a climate resiliency nonprofit, in cooperation with Missoula County’s health department. HEPA purifiers are the only air purifiers able to filter out the micro-particulate matter from smoke; bandannas or other facemasks do nothing. The program began last year, a relatively calm year for wildfires, and was originally meant for Meals on Wheels recipients: elderly residents with low incomes who often have respiratory illnesses. But this year, the program became an ad hoc emergency response. “It’s amazing how clean air isn’t something you think about until you don’t have it,” says Amy Cilimburg, executive director of Climate Smart Missoula. Climate Smart and Missoula County are continuing an education campaign to impress upon people the need for clean air, and how important it is to have purifiers and to avoid smoke inhalation. At this point, people should think of a HEPA purifier as a necessary appliance, like a fridge, Coefield says. “Breathing is important.” But not everyone can afford filters, and a sustainable way forward to face the next season has yet to emerge. 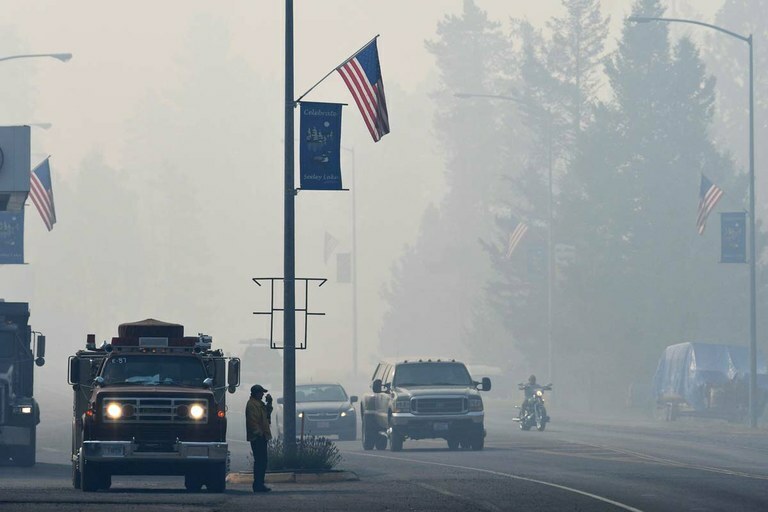 Although nonprofits helped spackle the gaps in the public health emergency this summer, the fact is that federal, state and local governments lack the infrastructure to deal with acute wildfire smoke. Assistance is not available in the same way that it is for something like water pollution. The Federal Emergency Management Agency, for example, doesn’t have a dedicated program to distribute air purifiers, nor does Montana’s Department of Public Health and Human Services. Faced with another wildfire season like this one, spokesman Chuck Council said in an email that the department would work with partners and coordinate donations as it did this year. But that would come alongside department budget cuts impacting the entire state, in part because of the overwhelming $74 million price tag that came with fighting this year’s fires. “Any potential cuts could impact our staffing levels and ability to respond to local needs,” Council wrote. This year’s fires are creating a feedback loop, and fires are now another public health issue added to the state’s management burden.